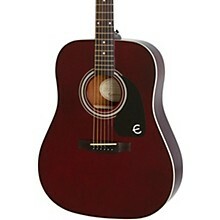 For such an easy-to-afford guitar, the Epiphone PR-150 is a standout -- a perfect instrument to get started on. 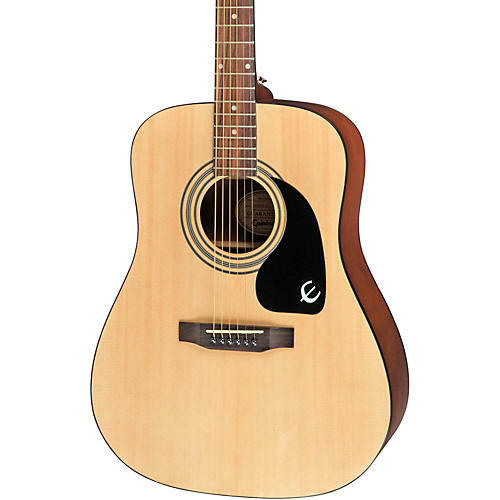 It is a dreadnought and features a spruce top, mahogany back and sides, and a mahogany neck with rosewood fretboard. 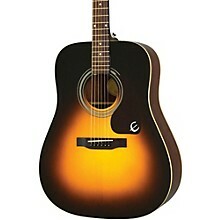 The PR-150 sounds great and this Epiphone's sunburst finish gives it the look of a far more expensive guitar.